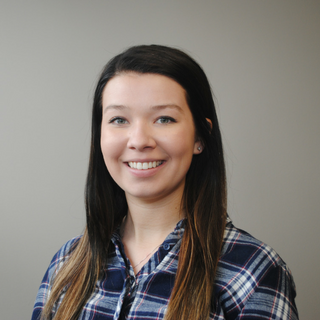 Katie Laughlin joined the Community Foundation as a Marketing and Communications Specialist in January 2018. She assists with all aspects of marketing, public relations, advertising, content creation and new media. Her most recent work experience was at WLKY as an Audio Operator and Camera/Floor Director. Katie volunteered at Girls Inc. and Fellowship of Christian Athletes while in college. She is passionate about bringing people together through sports and spending quality time with youth. A Louisville native, Katie is a Pleasure Ridge Park Alum. She also earned her B.S in Communications with an emphasis in Public Relations and Advertising from Kentucky Wesleyan College and is currently a graduate student at Indiana University Southeast in the Masters of Interdisciplinary program.